Brownfield Science & Technology, Inc. (BSTI) was hired to provide qualified and experienced Professional Geologists (P.G.) 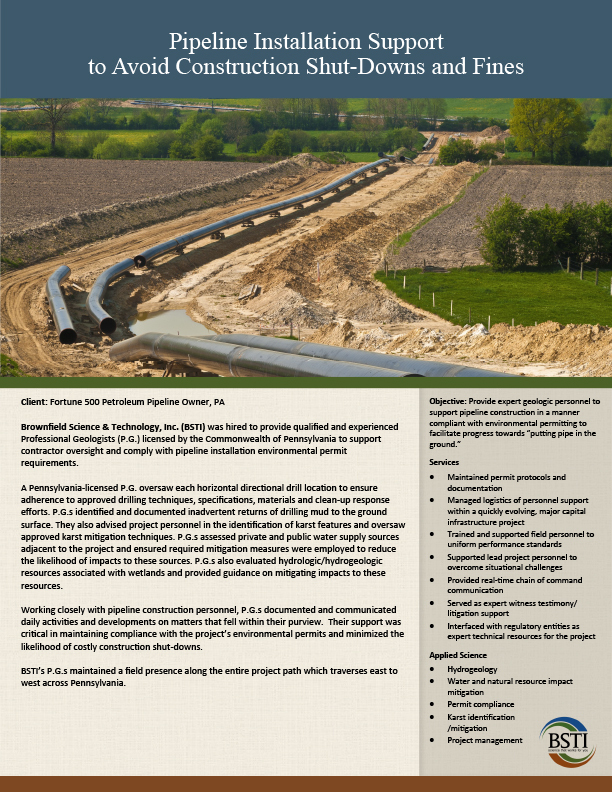 licensed by the Commonwealth of Pennsylvania to support contractor oversight and comply with pipeline installation environmental permit requirements. A Pennsylvania-licensed P.G. oversaw each horizontal directional drill location to ensure adherence to approved drilling techniques, specifications, materials and clean-up response efforts. P.G.s identified and documented inadvertent returns of drilling mud to the ground surface. They also advised project personnel in the identification of karst features and oversaw approved karst mitigation techniques. P.G.s assessed private and public water supply sources adjacent to the project and ensured required mitigation measures were employed to reduce the likelihood of impacts to these sources. P.G.s also evaluated hydrologic/hydrogeologic resources associated with wetlands and provided guidance on mitigating impacts to these resources. 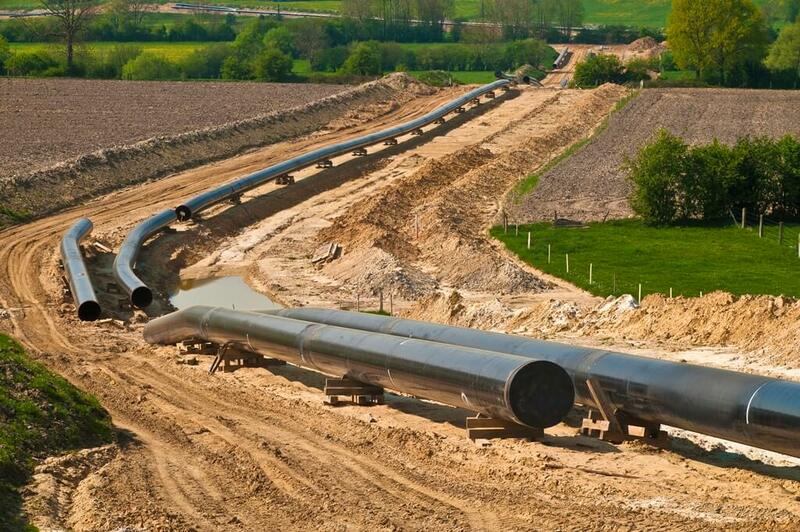 Working closely with pipeline construction personnel, P.G.s documented and communicated daily activities and developments on matters that fell within their purview. Their support was critical in maintaining compliance with the project’s environmental permits and minimized the likelihood of costly construction shut-downs. BSTI’s P.G.s maintained a field presence along the entire project path which traverses east to west across Pennsylvania.